The humble Ogre Miniatures Infantry Base makes a return at Warehouse 23. For larger forces, there's the Bonus Pack with 24 bases -- enough to equip six companies of battlesuits! If you need troops to go with them, check out the Combine Mechanized Infantry Company and the Paneuro Battlesuit Battalions, each at the unbeatable price of $19.95 (while stocks last). We've also recently restocked long out-of-print Ogres, vehicles, lasers, and structures, so the Ogre Miniatures line is back in all its glory! 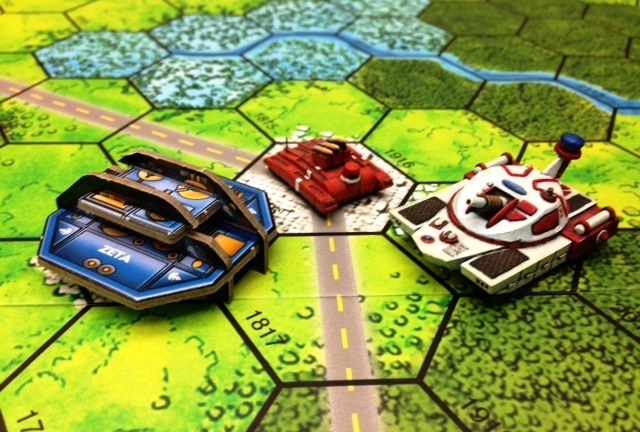 The minis are perfectly scaled for the upcoming Ogre Designer's Edition -- start preparing your forces today!